As experts in our field with over 40 years experience, Carron Marquees aims to bring you the information and knowledge you need to make an informed decision. Our selection of FAQ-related videos has been designed to do just that. Fitting in with your busy schedule, they compact down the questions we are asked on a regular basis into short, informative videos. We are confident of our ability to create the event location of your dreams. With a large selection of marquee types and sizes, we cater to all celebrations. From weddings and birthday parties through to corporate events, our skilled team has a wealth of experience in designing and tailoring each project to perfection. 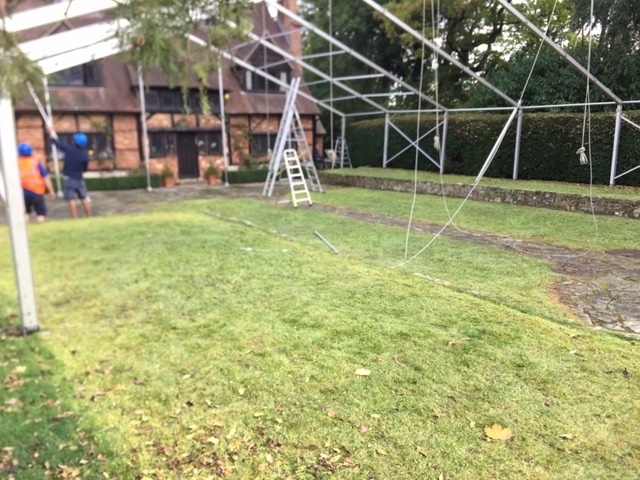 Here, you can discover just how we do it with videos explaining everything down to how our expert team erect and dismantle different marquees. As leaders in premium marquee hire here in the South East of England, our family-run business has amassed a fine reputation for quality and customer service. We put your celebration first, devising functional and practical marquee designs to suit you and your guests. In these videos, you will notice the dedication and passion that goes into each project. Our team believe in the importance of creating a celebration to remember. Taking the stress out of your day, we are on hand for the entire set up and dressings through to post-party invoicing. Browse our videos today and learn everything you need to know about premium-quality marquee hire. If you have any questions or would like to book an initial, no obligation consultation for your event, contact us today. Our friendly team are here to help tailor, support and implement a marquee hire programme that best suits your individual needs.